Make sure your product or service is compliant with our trusty compliance inventory checklist template. 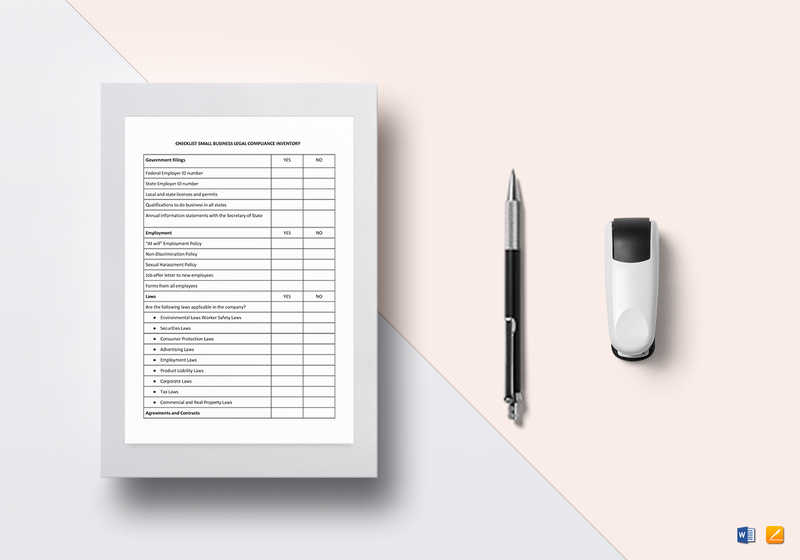 This checklist for Small Business Legal Compliance Inventory template can make sure the bosses know the product and services you provide comply with specific standards they set out. Download this template anytime, anywhere, at any device. 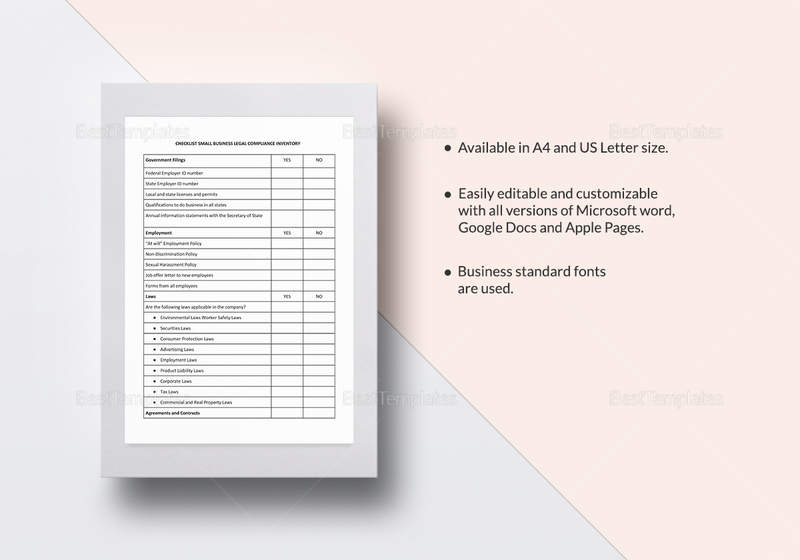 Be assured that the template is easy to edit and customize to fulfill your company’s needs.